Mobile Web usage is growing stronger every day. The popularity of this service is one of the main reasons behind the smartphone's dominance of the mobile communications market. On-the-go Web access is also proving to be one of the most sought-after conveniences of Web users today. The mobile-friendly versions of popular social media sites and search engines have long enjoyed high visitor traffic. Blogs and business websites are starting to benefit from the trend, acknowledging how the population of mobile Web users can significantly change site traffic and possibly contribute to revenue. Many SEO experts recognize the quickly-rising percentage of users who access the Web through their mobile phones. The first thing you should keep in mind when doing mobile SEO is that the process is still based on traditional SEO principles. The proper usage of keywords, tags, and anchor links is as important for mobile websites as it is for regular websites. However, you should remember that mobile search engines often consider a site's speed and its ability to be rendered well on a particular phone. Creating a mobile version of your site and venturing into mobile SEO can help you capitalize on the growing mobile Web user population. Businesses and companies are at risk of losing revenue when they take mobile SEO for granted. With smartphones and tablets selling like hotcakes these days, there's no reason for you not to take advantage of the trend and enjoy success for your business. Of course, it's understandable if you're a little skeptical about mobile SEO's abilities in making your business more successful. The Web provides a lot of articles on how mobile SEO can benefit small business, especially those that cater to localized markets. You can use these articles as resources for the basics of mobile SEO. You can also contact a professional SEO provider, in case you're interested in the method. Web designers usually overlook keywords even if they are aware that they are designing a mobile website. If you can't design a mobile website, make sure to hire a designer who is knowledgeable about SEO. Your working relationship with your web designer is a critical part of your mobile SEO strategies. If you're thinking of optimizing your mobile website using the keywords for your regular website, think again. Smartphones and tablets are structurally different from laptops and desktop computers. Typing on a mobile phone or dealing with an onscreen keyboard is said to be a big factor for users to choose shorter keywords. These users may search for keywords that are more concise. Experts call it the "rush search". Before consulting your Google Mobile Keyword tool, keyword analysis must be completed. First, you have to revisit and restudy your target market and niche. You have to think from a different perspective and put yourself in a mobile Web user's shoes. List down all the possible keywords, regardless of competition, length, and strength, then get some recommendations from your customers, friends, and colleagues. Then, jump into AdWords and use they Mobile Keyword tool. Look for keywords Web users are actually searching for. Just like typical keyword research, you have to know the strength of every keyword you are going to use. What's the point of researching keywords without consulting Adwords and the Mobile Keyword tool first? This helps you re-associate yourself with your business and market. Some SEO experts forget the essence of knowing their market because of the vast availability of keyword tools. They always end up choosing high-ranking keywords without even considering major factors that may affect their business. For example, if you're selling secondhand or used Chanel and Hermes items, you would not want to mistakenly choose the keyword 'brand new designer bags', just because you were distracted by the long green bar that indicates its rank. Basically, you should have a mobile version of your website if you want to jump into the mobile SEO bandwagon. However, if you've already established a strong domain authority, creating a new domain may affect your site negatively. Instead, use a sub-domain to retain your current domain authority and link juice. The mobile version of your website should always be in XHTML or Basic XHTML format. This is where you can use your new mobile keywords. If you're not familiar with mobile searching, you can do a self-test of how it works. Knowing the search engine is like studying your battlefield. You have to recognize the competition, the competitors, the rankings, and the current situation. 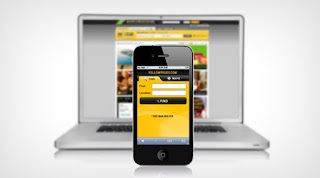 Accessing some mobile websites can give you ideas on what you can do for your website. Some think that mobile SEO is only for businesses that have secure markets. There are business owners who opt to do mobile SEO to show success, because the process often requires more financial resources. On the other hand, some business owners choose to venture into mobile SEO to strengthen their promotíon strategies, because they know the importance of having a mobile presence today.